You might be aware that resistance leads to growth in many ways, but you may not be aware that other factors can also contribute to growth. In fact, massage therapy can aid your growth in ways that you might never imagine. Massage therapy is usually considered a luxury, an occasional relaxing splurge, but the truth is that massage therapy is a form of alternative medicine that has bona fide medical applications; in most places it even requires practitioners to be licensed by the state medical board. Massage therapy can do more than just relax you, it can actually improve your recovery time, increase or help you maintain your range of motion, and help you see better results. You might not realize this but you don’t actually build muscle during resistance exercises. Resistance actually breaks down your muscle by causing microscopic tears in the fibers that make up each muscle. You don’t actually start building until the muscles heal, which happens when the muscle is at rest, which can take 48 to 72 hours. This is why you are encouraged to take one full day off before working the same body part again. –The repaired muscle fiber is sometimes contracted, and less flexible than before. 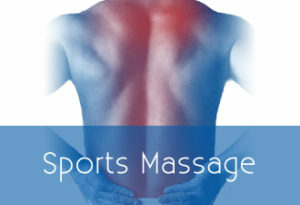 –The process that occurs while the muscle heals is why massage is so important. –It helps push blood through the muscle to reduce swelling and encourage blood flow. –Reducing the swelling also reduces stiffness and soreness. –Massage therapy also acts as a “tenderizer” to keep the repaired fibers flexible and reduce their tendency to contract as they heal. –Better range of motion means you can actually contract your muscle more forcefully and use more weight during resistance exercises. You don’t have to receive massage therapy after every session, but having one as every two weeks can greatly improve your recovery time and overall muscle function. Additionally, the effects of massage are cumulative, which means the more often you have one the longer the effects last. Wow! Now I felt the need of having a schedule of massage therapy. How many times a week do I need to tho? It all depends on the muscle group, potential injury, and therapist’s plan of management.